When John Smith explored Chesapeake Bay, he found five rivers along the Western Shore. In his words: The fift [fifth] river is called the Pawtuxunt, of lesse proportion then the rest; but the channel is 16 fadome deepe in some places. Here are infinit skuls [schools] of divers kinds of fish more than elsewhere. More than 400 years later, boaters and fishermen still enjoy the Patuxent, and nowhere so much as on Solomons Island, at the mouth of the river. Adaptability has kept Solomons Island vibrant through the years, as is reflected in its changing names. Originally called Bourne’s Island, it was part of Eltonhead Manor, a large tobacco plantation in the 17th century. Later it was known as Somervell’s Island, and when Issac Solomon bought the property, the 2.3-square-mile island took on the name of the man who built an oyster cannery and the housing for its workers there. Today the Chesapeake oystering industry is not what it was when Baltimore journalist H.L. 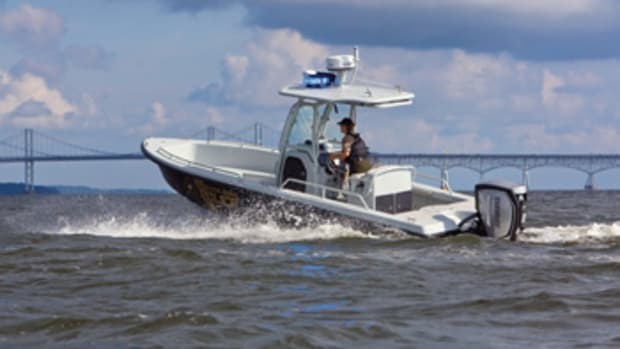 Mencken referred to the Bay as “an immense protein factory,” but local watermen report having good luck this winter up in the Patuxent, both hand and patent tonging — great news for local restaurants and their patrons. 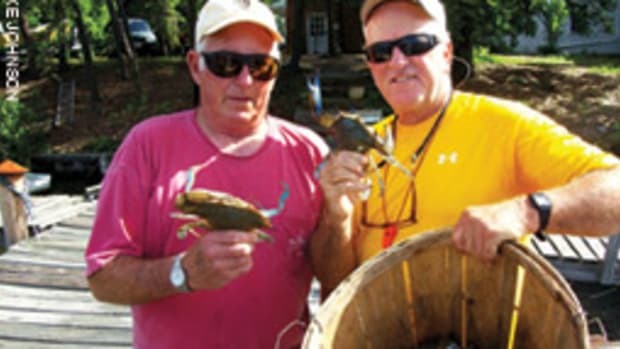 Traditionally, Maryland watermen rotated their catch with the seasons. From September through February, they would harvest oysters, switch to gill netting striped bass (locally known as rockfish) and white perch in the spring, then gather crabs in the summer. 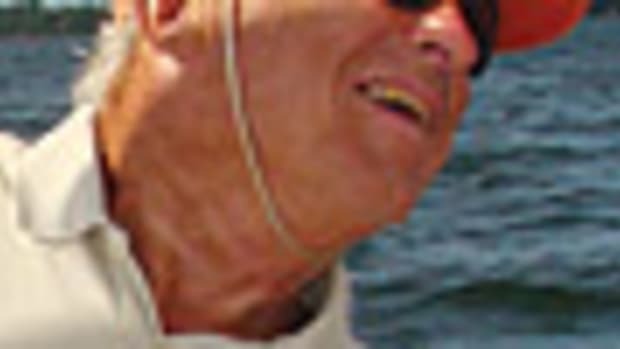 Today charter fishing is popular around Solomons, and anglers seeking “rock,” bluefish, black drum, croaker, flounder and other fish can contact the Solomons Charter Captains Association to arrange such ventures (fishsolomons.com). These fish are also served in local restaurants, and at least one of them, Angler’s Seafood Bar and Grill, tucked away in Beacon Marina on Lore Road, will prepare your catch for you. Boating around Solomons Island began with the Algonquin-speaking Patuxent tribes, who favored the dugout canoe made from the cypress tree for its rot resistance. 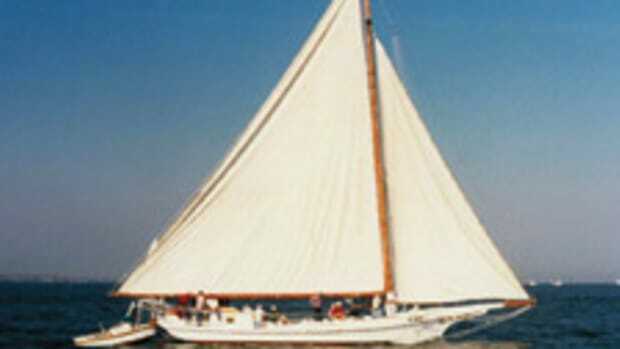 Later the bugeye was developed for oystering, its two raked masts carrying a mainsail, foresail and jib, and its wide, flat bottom fitted with a centerboard. In the late 19th and early 20th centuries these gave way to the famous sloop-rigged skipjack, some of which still ply the Bay. 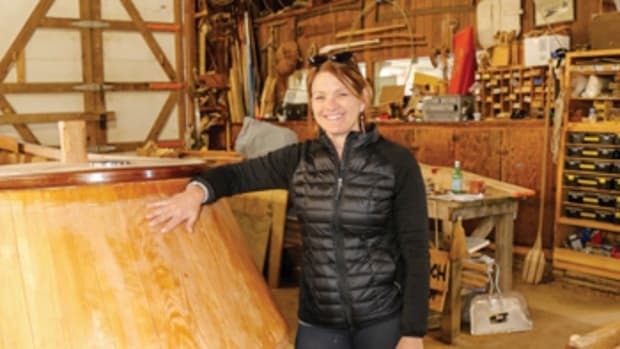 Today the sailing community of Solomons is centered on the Southern Maryland Sailing Association, which hosts the annual Screwpile Regatta, this year to be held July 15-17 (screwpile.net). In addition to bugeyes and skipjacks, Solomons Island was known for the tugs, yachts, schooners and freighters its builders produced. The Davis shipyard built government vessels during World War I and II, perhaps most notably the utilitarian T-boat during WWII, some of which can be found serving as mail boats, research vessels and yachts. Solomons Island’s largest contribution to the 1940s war effort was its use as a training center for amphibious landings. The Naval Amphibious Training Base opened on Solomons within a few months of the Pearl Harbor attack. The island’s deep waters, sheltered beaches and high cliffs helped train more than 68,000 GIs. The shipyards and naval base are gone, but the island hosts five full-service boat centers, some with lifts that can handle as much as 100 tons. 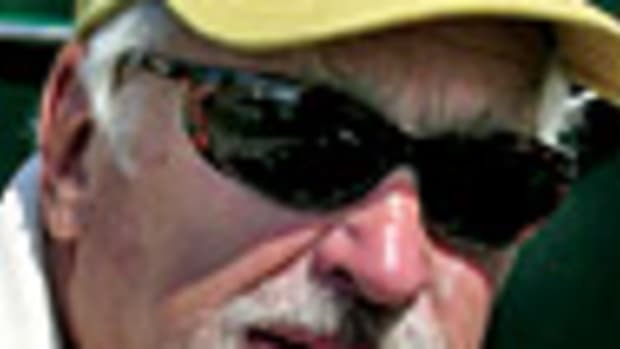 You may wish to contact the Maryland Powerboat Club (marylandpowerboatclub.com) to find out when its functions are scheduled. 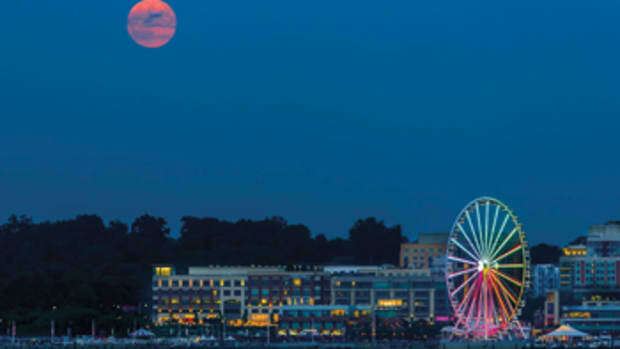 This social and charitable organization has planned at least three events this year, one in mid-June known as the Reiter Cup Fun Run, another called the Party on the Potomac in late July and a third, the Party on the Patuxent, in early September, all of which raise money for local charities. Visitors to Solomons will find that the camaraderie and friendship of the locals is contagious, one mentioning that “there are people here I’ve boated with for 30 years and more,” and despite population and housing growth across the 25-foot causeway, “it’s not too crowded here.” Restaurants, hotels, bed and breakfast inns, and shops are within walking distance of the boardwalk and marinas, which offer permanent, short-term and overnight slips (solomonsmaryland.com). 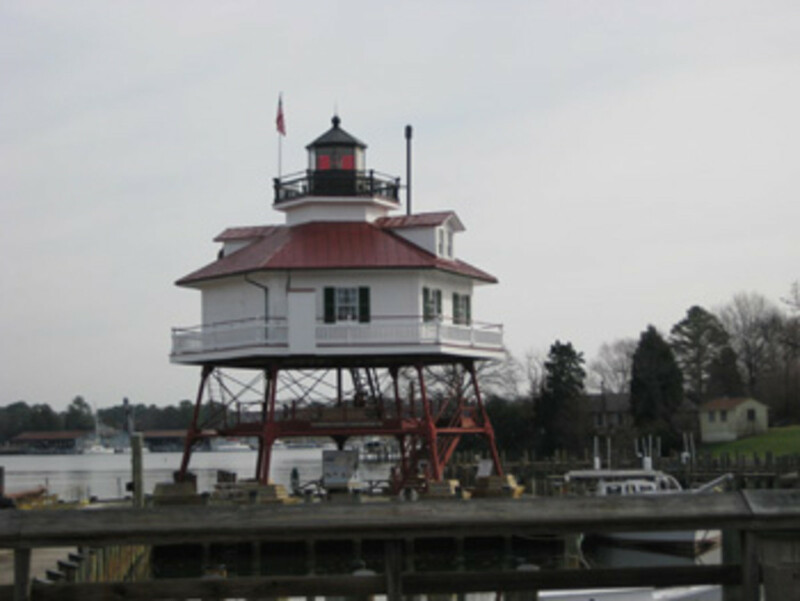 Unique attractions include the Calvert Marine Museum, featuring the restored Drum Point Lighthouse, a Discovery Room for children, historical displays and local marine life. The museum also offers a look into the prehistoric past with fossils from 8 million to 20 million years ago dug out of nearby Calvert Cliffs. A short distance away, the museum also maintains the J.C. Lore Oyster House, which gives a sense of how the 19th century industry operated. Across the Patuxent in Hollywood is the Sotterley Plantation, a restored 18th century plantation with access from the water (sotterley.org). It’s a National Historic Landmark that predates Mount Vernon. Another wonderful treat for the eyes is the Anne Marie Sculpture Garden and Arts Center (annmariegarden.org), where you can enjoy exhibits in a walk through the woods and, if staying awhile, get involved in its Studio School and other educational opportunities. About six miles up Route 4 from Solomons is Calvert Cliffs State Park, where you can fossil-hunt, camp and picnic at “one of the richest fossil invertebrate sites in the world.” The University of Maryland Center for Environmental Science along Farren Avenue on the Patuxent offers tours of the Chesapeake Biological Laboratory during the summer. During a visit to southern Maryland, you’ll find a hospitable welcome and plenty to do on little Solomons Island, where the people are, as John Smith said, most civill to give intertainment.